“Cracks in the atheist edifice, The rapid spread of Christianity is forcing an official rethink on religion” is an insightful article in November 1, 2014 edition of The Economist on the rise of religion in China. 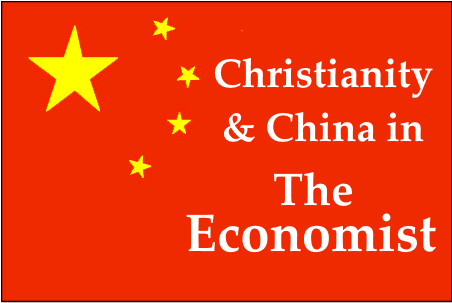 Here are interesting insider observations about the rise of Christianity in China and evidence that the number of believers is growing even within the Communist Party. Several trends are noted, which point to a possible change of China’s Marxist anti-religious doctrine, which could lead to greater religions freedom. However it appears that some have learned the lessons of history, voicing the concern that greater freedom of religion may actually be detrimental to the continued growth of Christianity in China.